Drivers) branches and to once again form one A.S.L.E.F. existing branch secretaries Bro T. Fielding of No.1 & Bro. sort after and this position was taken up by Bro C.
Brighton's No. 1 & No. 2 Branches. designed by Paul Horan & Tony Brace. Chairman P. Plaine opened meeting, and explained that this is the last meeting before rationalisatation. Brighton No.1 minutes of 20.1.88 were read, prop M. Hawkins & sec J. Carney, a true record. Financial Report from Bro. Fielding, reveals £65.26 in branch funds 7 £43 in Political Fund. 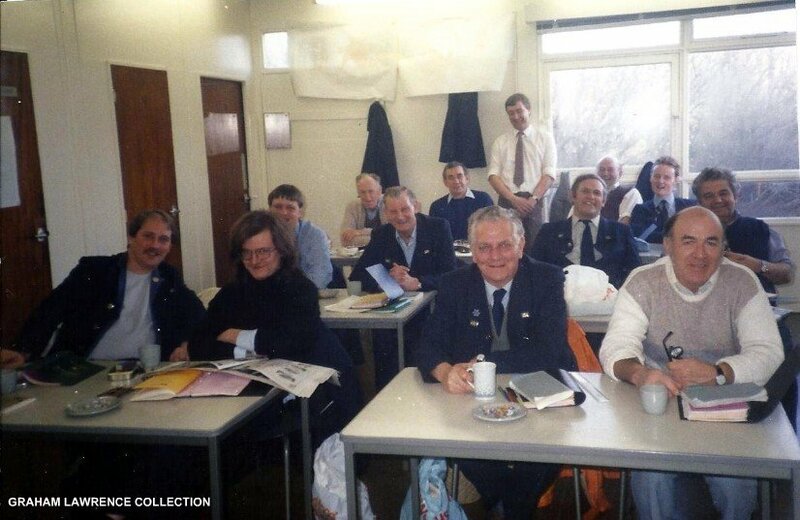 Brighton No.2 minutes o 4.2.88 were read, pro F. Locke & sec B. Noakes, a true record. Minutes of 11.4.88 were read, pro. W. Jones & sec. 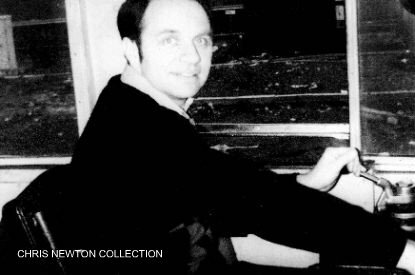 C. Newton, a true record. Financial report from Bro. Ricketts reveals £113.81 in branch funds & £53.54 in Political Funds. Questions were asked and answered on all above minutes. New Standing Orders debated, pro. M. Hawkins & sec J. Carney. “New standing orders be introduced on 30.3.88”. voting all in favour. (To be written into new minute book). G. Hussey, T. Fielding, L. Osman & P. Edwards. Brighton Secretary 1988 - 2000. Chairman W. Mackenzie opened the meeting explaining reasons why “Special Branch Meeting” had been called. Bros. W. Mackenzie & P. Plaine explained that information from management regarding the additional work i.e. Reading and Sunday (Thameslink) diagrams had come to them and called for a “Special Meeting”. Both explained that they were told that the Reading work had been withdrawn to appease other depots for the loss of their work, and also feelings regarding the unfairt allocation of Thameslink Sunday work diagrams, between Brighton/Selhurst/Bedford. These were discussed by members, all of which felt they too had points to raise. Bro. A. Ricketts then put forward the following proposal. “Loss of inter-regional work to Reading and Thameslink Sunday diagrams. 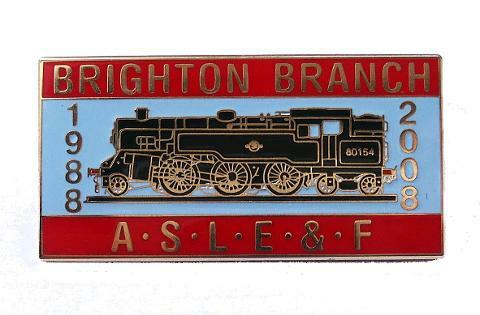 That this Brighton Branch of A.S.L.E.F. instruct the L.D.C. (Brighton M.T.) to inform management that a state of non co-operating i.e. rest Day, overtime working (outside) variable day roster agreement), no movement of men off their roster (to assist management) will exist, further until both grievances are settled to this branch’s satisfaction the non co-operation will not be lifted”. Proposed A. Ricketts & Seconded W. Jones, voted on 18 for, 0 against, carried unanimously. This would now be presented to the management and that they would report back to this branch. Bro. Plaine reported on discussions with management over allocation of work. They now realised Brighton was not a “soft touch”. Many questions were asked but there were more discussions to follow, so no decisions were made. That all previous minutes and branch records be put into one book and kept for historical value, and previous secretaries be asked for additional items of merit. Pro. P. Plaine & sec L. Osman. P. Plaine reported on new allowances and claims procedures, channel tunnel work, a proposed workers federation to include A.S.L.E.F. Steve Forey had lost his final appeal, with heavy implications for all of us. Further reports on, pensions surplus and new schemes, Train Crew Concept, Thameslink, 455 brakes, run by’s of signals to be investigated by psychologist, appeals procedure, statements to police, new rule book. Resolution 3/88 “That £25 be donated to S. Forey’s appeal as requested by S.R. Liaison Committee”. Pro A. Ricketts & sec D. Morgan, agreed unan. Bro. Mackenzie reported on the poor state of the training program. Bro Mackenzie was then presented with a pen. Speaker Carl Liver from the P&O ferry strikers spoke to the meeting. 2,300 seafarers had been sacked for refusing to accept a contract with 11 days holidays per year, only 6 hours sleep in every 24, and a cut of £45 a week in wages. After 3 months the strike was still solid out, they were very short of money as they had no strike pay. Resolution 4/88 “That £50 be given to the strike fund, and a collection sheet displayed. Pro A. Ricketts & sec D. Knight. Questions were asked on the position of smoking coaches on Class 63 VEP units. The L.D.C. were asked to look into this. programme. 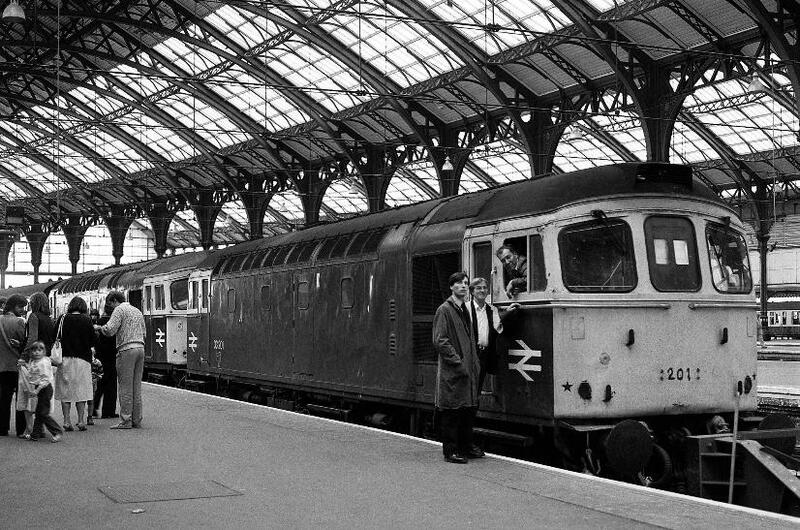 The Mixed Traction had 51 drivers and the E.M.U.T. had 102 drivers. as a Fireman and then Engineman the better and more varied work you would do. work to finally reaching the Top Link doing the most prestige and best paying work. would be in one Link doing the same work. driver would be placed in. where do to retire at a similar time as the rest of the L211 drivers. the triangle Brighton/Hove/Preston Park/Brighton which also included the appropriate sidings and yards. 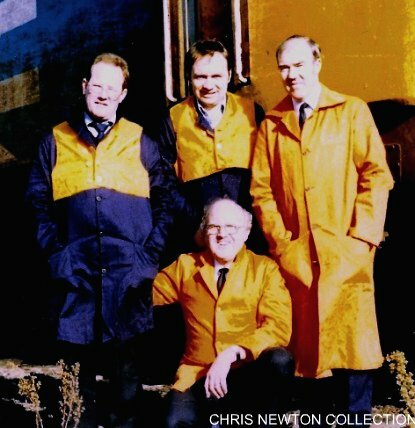 The restricted link was of 4 Drivers who only worked within the confines of Lovers Walk Maintenance depot. The smallest link was a 3 manned station pilot link that operated to the same criteria as the allocated link. learn all forms of diesels and the associated routes and yards. junior links and taking up their rightful seniority position within the depot. Back Row Left - Right: Dave Pumfrey, Dickie Potts, Johnny Saunders, Peter Mantell, Unknown. Number of member present, a total of 53 members a list had compiled and has been enclosed. grievances and up date the position as to Managements position. perused by the General Manager. 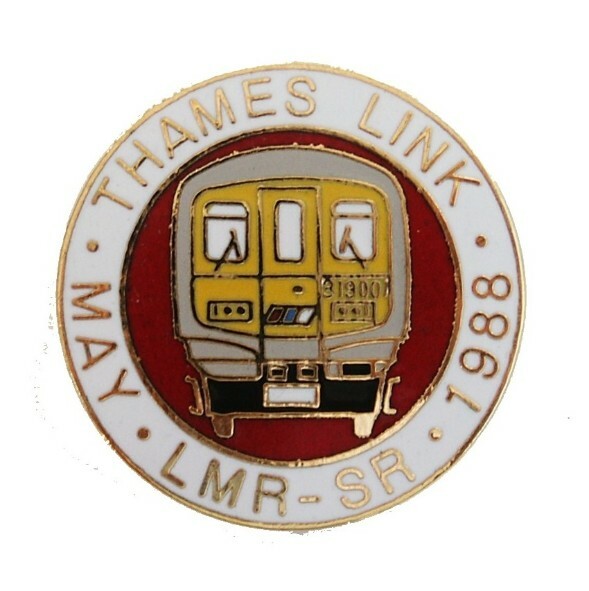 Secondly, complaints about the list clerk, it was pointed out that management have been told of the problems caused by Mr.
Ken Smith not working to the agreed minutes as drawn up both management and L.D.C.’S Thameslink service. Sunday situation has been explained and should resolve itself. men in the L211 link opting out would not take preference over men in the other links. were known, and that men in the L211 link opting out would not take preference over men in the other links. is 78 instance of D.O.O against 19 at present. Two resolutions were then put before the meeting. implement.” Voted: Unanimously by all the members. Unanimously by all the members. & Fred Maskell in the front. L.D.C. N. Light, L. Osman, P. Plaine, W. Mackenzie T. Fielding & M. Hawkins attended both meetings. The meetings are held to inform members of the latest position. hoping that things would improve. no cover list to posted in case. W. Mackenzie, C. Newton, A. Flowers & R. Lewis. Letter re Steve Forey from branch secretary King’s Cross, receipt of appeal for Steve Forey. Ref. N.U.S. appeal, £50.00 sent to appeal fund and posted in messroom for donations. 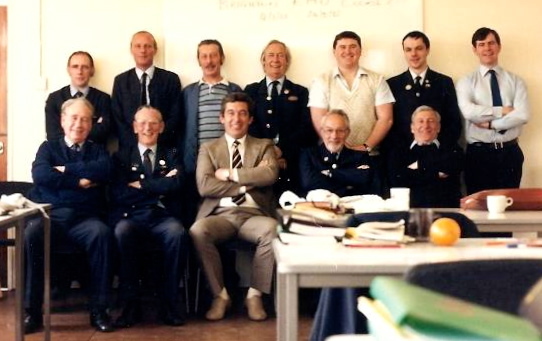 LDC report Class “63” VEP stock smoking, this matter still to be raised, Diesel training programme matter to be discussed future, List Clerk problems s till not resolved branch called for meeting with Senior Management. W. Mackenzie, M. Thompson, & P. Plaine. routes still to learn should be booked on rest day if not required for other work, but the list clerk was still not applying this. F. Maskell, M. Hunter, & C. Newton. Branch stood in silence for a minute to respect the death of one of our brothers, Ron Baker. not attended any meetings during the last four weeks, but would raise any matters with management. Bro. F. Maskell brought up the problems of the 319 cabs, and after making a strong case put forward a proposal. Proposed F.
diagrams.” Vote 6 for and 5 abstained. all links regards to earnings to hours worked.” Voted, all in favour. R. Swetman, B. Noakes, & T. Janes. discussion on these matters, and referring to previous resolutions. Brighton council, a majority of 6.
many years service to the labour party, due to ill health. Regarding the election for labour leadership, the Brighton Pavilion constituency Party had disenfranchised affiliated unions. Party. Proposed M. Thompson & seconded by R. Swetman. no seconder, the motion fell after some discussion. back Ardingly stone plant, and train was being hauled 56062.
locomotive was rebuilt and re entered service with a the nameplate Mont Sorrel. M. Thompson, M. Hunter, P. Plaine, & T. Fielding. could well lead to being disciplined. Equal earnings matter was raised by members with members in links other than L211 and No.1 being worse off. Chairman W.
after much discussion the LDC were ask to review this and report back to the branch. which was turned down, matter somewhat resolved by R. Dove’s transfer. Letters in reply to support of 8 hour Sunday from Three Bridges & Battersea Branches. these items to place question being asked and answered. B. Brown, L Osman & D. Morgan. against men refusing courses for what ever reason other than annual leave or domestic reasons. length of service before applications be accepted, advice to be sort from head office. C.M. &E. depot. Radio Training, Bro. H. Vincent told of position regards to refusal of position regards to refusal to be trained. Sick pay forms, members told they must complete these forms on returning to work. Three new drivers to Brighton, Bros.
Sharp, Lewis, & Simmons. Train Crew Concept, Area Manager refused to talk about this. A. Flowers, J. Parks, I. Munro, & B. Pegg. Correspondence, Littlehampton & Seaford Branches wrote supporting the Brighton Branch resolution on Sunday Working. Ballot for Appeals Committee, the Branch supporting Bro. P. Plaine. The Journal “Unite” was agreed to be posed on the notice board, subject to agreement at next meeting. resolution, and West Worthing LDC be instructed accordingly” motion proposed by J. Parks & seconded I. Munro. findings.’ Proposed M. Hawkins & seconded C. Horlock. hours had been altered to be brought under. The LDC had tried to achieve a fair distribution of earnings between the links when drawing up winter rosters. carriage sheds and stations, and about cab heaters. On the latter the L.D.C. was asked to press for on-off switches. but still qualified for night rate payment. T. Fielding, F. Locke, L. Osman, & M. Hunter. health and safety. It was asked for that the Branch Secretary writes to the B.R.B. and Area Manager about track side safety. these and on excess use of red paint were raised. management would be suspending courses.